The official Northwest Karting championship for 2-stoke Karts is contested over 5 or 6 rounds each year (started in 2016). It is run in combination with local and regional series and events to help support the local clubs and tracks. Open means that it's open to nearly all types of 2-stroke engines to encourage more participation. It does not mean open or unlimited rules, but it does mean the rules are open to more karts than most series. The goal is to have a more condensed, time friendly and affordable, fun & competitive series with a higher and more consistent entry base of Shifter, TaG, and O2s100 racers. It's a Revolution of 2-strokes!! Open means that nearly all types of 2-stroke engines are welcomed! In TaG, older "obsolete" Rotax engines, and Parilla Leopards are encouraged to come on out and have fun, along with the newer X125's, X30's, and ROK's. KT100's run with KA100's and ROK VLR's. Shifters, bring what you have - '99 Honda, '01 Honda, ICC, KZ, ROK, DD2 - most any 125cc 2-stroke with 30 mm carb, we're all racing together. Different weights for different engines (BoP), but only two shifter classes...either Shifter Light, or Shifter Heavy...keeping it simple and fun! NEW FOR 2019 - We added the O2s100 class! - O2s100 -- ROK VLR, KA100, X100AC, KT100 - Jr 310, Sr 350, Mstr 380. - TaG Masters -- X30, X125T, Leopard, Rotax, Vortex ROK, Dragon, etc. - TaG Sr. -- X30, X125T, Vortex ROK, Leopard, Rotax, etc. - TaG Jr. -- X30, X125T, Vortex ROK, Leopard, Rotax, etc. - TaG Cadet -- Mini/Micro Swift, Jr 1/2 restricted X125T, Vortex ROK, Rotax, 100cc Leopard, etc. March 4, 2019 - Announced location of special location on June 30th...Boise, Idaho Fairgrounds Moto Fest! January 23, 2019 - Announced 2019 Schedule! November 27, 2018 - We added a new class for 2019...the O2s100 class for the new air-cooled 100cc engines. August 14, 2018 - Final 2018 date was 9/16, then it was moved to 9/9, but it is now officially back to 9/16 - Round 6 is on September 16, at Pat's Acres Racing Complex, and will be run with the Can-Am Karting Challenge. August 2, 2018 - Welcome aboard Xccel Racing, our new year-end trophies sponsor! April 22, 2018 - Perfect weather for our season opener and some great clean racing - good job everyone! January 23, 2018 - The 2018 schedule was released here on the website, and on Facebook. December 20, 2017 - The opening race for the 2018 O2s Championship season will be on April 22nd, at the Mac track in McMinnville. The second race will be held on June 10th at Pat's Acres. The remaining four race dates are still tentative, and will be posted after the Tri-Cities board meeting on January 2nd. We are working on some really exciting new stuff for 2018! October 26, 2017 -- The series name changed from Oregon 2-Stroke Championship to Open 2-Stroke Championship. 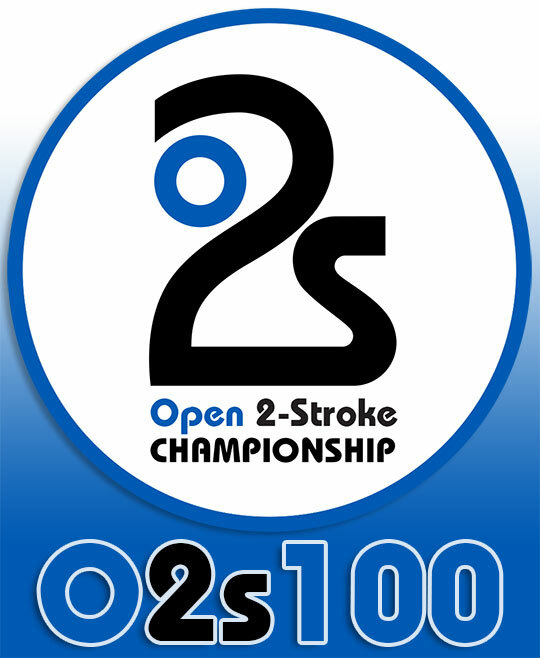 Although more commonly referred to as simply the O2s Championship. The name change reflects the growth of our series as it competes in Washington as well as Oregon. It also reflects our semi-open rules that are open to many different engine types, and that is key to building the number of participants. No special new engine required in our series, older "obsolete" engines are welcomed and with our BoP weights they are competitive. A series for karters by karters. August 8, 2017 -- The new X125 engines are now allowed in ALL of the O2s classes! See the updated rule book for weights and Jr restrictions. Some minor updates were also made to the X125S and TM/ICC weights in the Shifter class. May 13, 2017 -- Version 3 of the 2017 rule book is now available (clarified homologation specs most be followed). May 8, 2017 -- Race results, point standings, and driver photos (from yesterday's race) are already posted on the points page! April 10, 2017 -- Version 2 of the 2017 rule book is now available for review (updated tire rules). March 11, 2017 -- Version 1 of the 2017 rule book is now available for review. February 1, 2017 -- The Tri-Cities Shootout event was approved! January 10, 2017 -- It's official - we have an O2s Championship Test day at Pat's Acres on Saturday April 22nd for all O2S Shifter and TaG. Add it to your schedule for 2017. This is two weeks before the opener. If high probability of rain, we will move it to the following weekend of the 29th. Testing, Swap Meet, Driver's Meeting to go over rules & ideas, and Lunch! December 16, 2016 -- We are pleased to announce WORD Racing, PitKit, and eShifterKart.com have already committed to sponsor the 2017 O2s Championship. Watch for more sponsors and some exciting new announcements coming soon for 2017. August 11, 2016 -- We are pleased to announce PitKit as the official tool supplier for the O2s Championship. A new C20 Five-Section Cantiliver Tool Box for the winner in every category (Shifter Heavy, Shifter Light, TaG Sr., Jr., and Cadet), at the August 13 race! Also, 10% off everything on the website for all O2s Participants* (see Joey for details). August 2, 2016 -- We are happy to have Shepard Performance Karting on board as the official Pat's Acres Night Race sponsor for the Shark Shifter Heavy class. Cash for the top 3, at the August 13 race! July 28, 2016 -- We are excited to announce eShifter Kart as the official Shifter Light class sponsor, now know as the eShifter Kart Shifter Light Class! Two Gift certificates drawings at each of the two remaining rounds, everyone entered in the light class has a chance to win! July 21, 2016 -- We are pleased to announce Shark Shifter as the official sponsor of the Shifter Heavy class, now known as the Shark Shifter Heavy Class! Gift Certificates for the top 3 at each round!